A Bit of Bavaria Stateside! Cold-weather playground, unique holiday destination, plenty of ways to experience nature…these are phrases that describe Bavaria, a state in southwestern Germany, which is roughly 4,000-5,000-plus miles across the Atlantic. Definitely a charming destination with its snow-capped mountains, quaint villages, cultural offerings, and generous hospitality. But if you don’t have the time (or the funds) to make a trek across the pond this winter season, why not check out the USA’s own little bit of Bavaria, otherwise known as Leavenworth, Washington. Nestled in the Cascade Mountains, Leavenworth is a Bavarian-styled village that is all about doing things Alpine-style. And once the winter season begins, the town explodes with more snow-filled activities and holiday events than you can imagine. There’s cross-country skiing, sledding, downhill skiing, ice fishing, snow tubing, sleigh rides, a Christkindlmarkt, a Christmas Lighting Festival, a cookie crawl, and more, all set among the most beautiful little Bavarian-style backdrop you can imagine this side of the Atlantic! 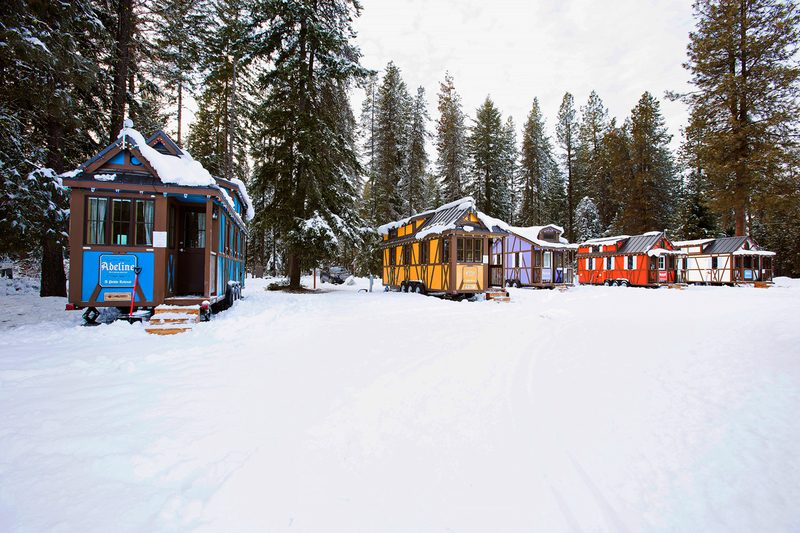 To make your visit to Leavenworth even more enchanting, stay at the Leavenworth Tiny House Village in your choice of five uniquely Bavarian-styled tiny houses. 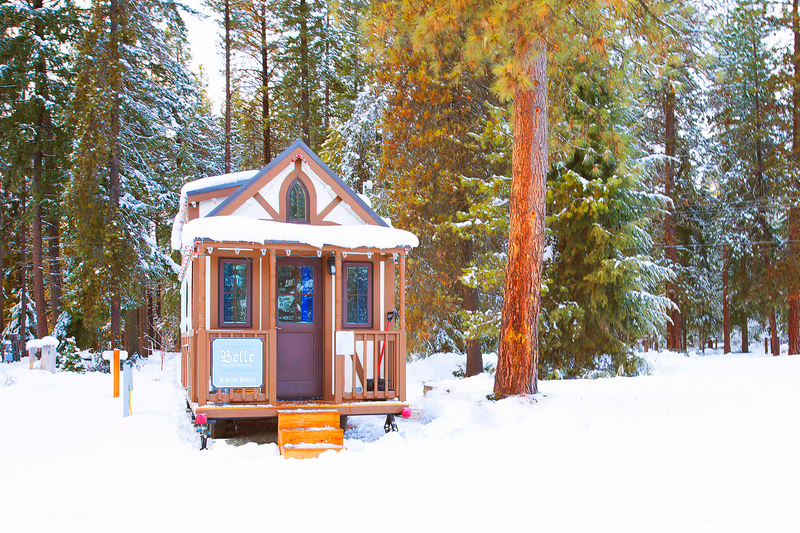 Combine a Tiny House stay with all the charm of Leavenworth and you’ll be guaranteed a Bavarian-styled experience without even needing your passport! What can we see about Belle? Of course, she’s the belle of the ball at 307 square feet with a full bathroom, kitchen, first-floor bedroom and the cozy loft with a queen and twin bed! She’s perfectly appointed with stylish décor and furnishings, including linens and kitchenware. Belle sleeps 4-5 and has a TV with basic cable. Adeline, sweet Adeline will be decked out for the holidays and welcoming the lucky four guests who can call her home during a stay at Leavenworth. With 287 square feet of charming space, Adeline has a first-floor twin bedroom, full bathroom, and kitchen. Plus there’s the cozy loft with its queen and twin beds. Linens, kitchenware, and TV with basic cable complete the sweet tiny house that is Adeline. 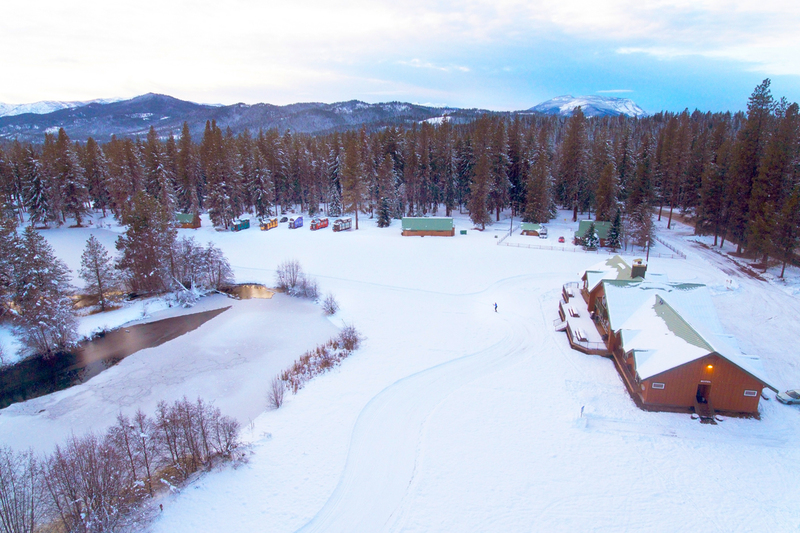 With an exterior as blue as the Alpine skies, Hanna is perfect for any duo that wants to experience the seasonal offerings of Leavenworth and bunk in each night in 181-square feet of cozy. There is a loft bedroom with a queen bed, a full bathroom, kitchen and TV with basic cable. Linens and kitchenware are included. Hanna has it all for a pair of winter adventure-seekers! 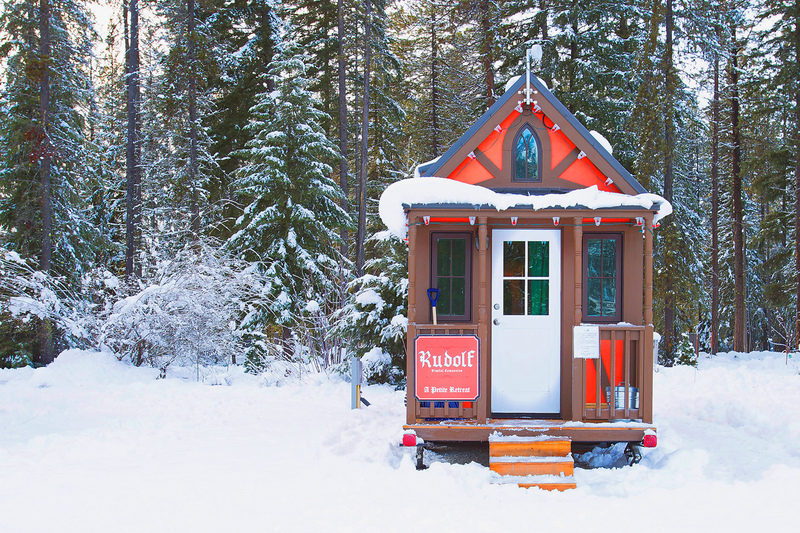 Of course, Rudolf is a red tiny house, what other colors would he be! Step inside Rudolf and you’ll find 250 feet of space that sleep 4-5 thanks to a loft with queen bed and twin bed, and a pullout couch on the first floor. Rudolf also features a full bath and kitchen, with linens and kitchenware included. TV with basic cable round’s out Rudolf’s amenities. He’s too cute! 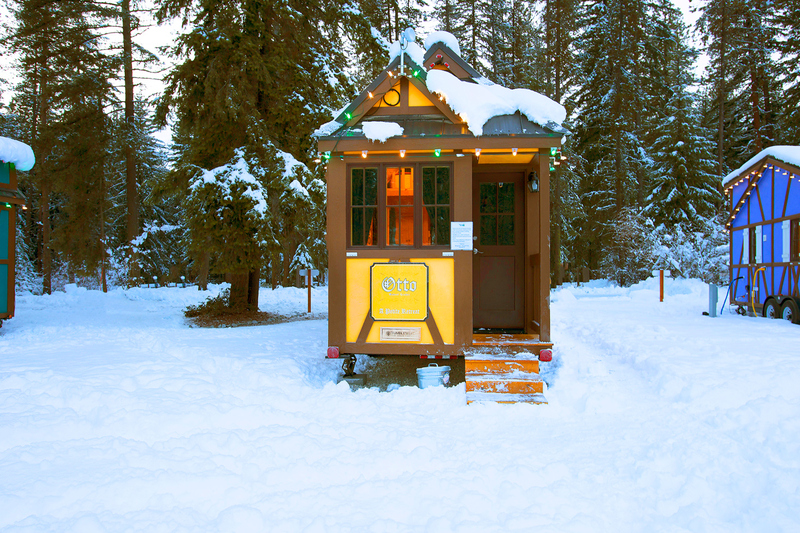 Otto is the big guy on the Leavenworth RV Campground campus with his robust 287 square feet that sleeps 4-5. This hardy tiny house has a loft with queen bed and twin bed, pullout couch on the first floor, full bathroom and kitchen and comes with linens and kitchenware. All that, plus TV with cable and a pet-friendly attitude makes Otto one popular fellow! Check out leavenworth.org to see the events scheduled in the town of Leavenworth and what else there is to see and do in this charming little Washington gem! 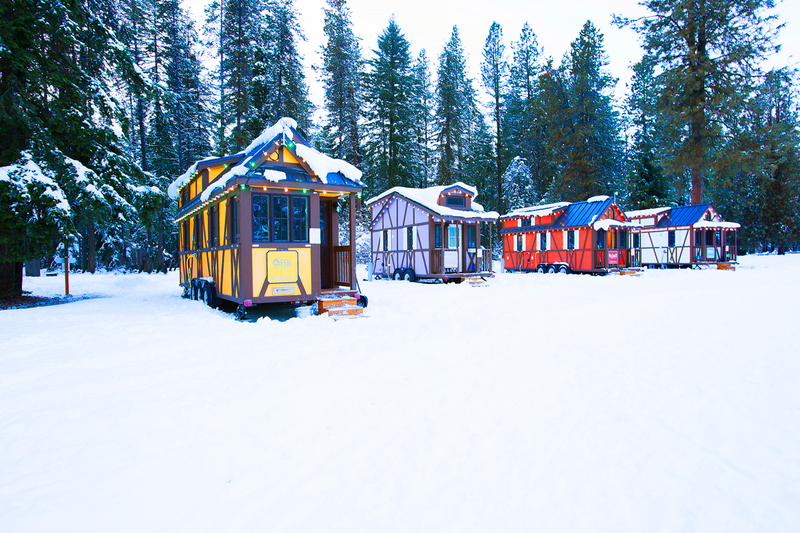 For more information on the Leavenworth Tiny House Village, visit leavenworthtinyhouse.com.